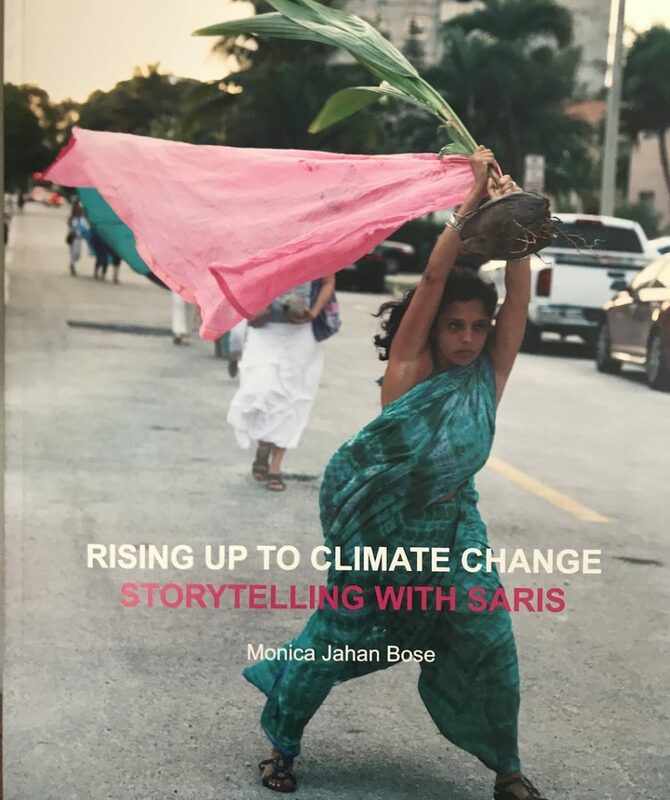 We are excited to announce the release of a new art book, Rising Up to Climate Change: Storytelling with Saris. It is 8 x 10 inches and 48 pages in full color, eco-printed in Connecticut by a family-owned printing company that is powered by solar and wind energy. 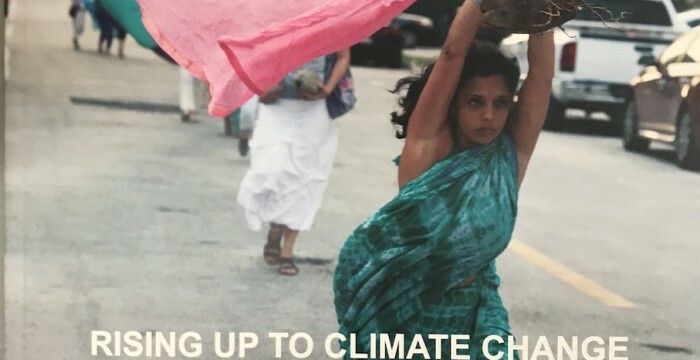 The book includes photographs of recent artwork about climate change and climate art actions led by Monica Jahan Bose. There is an introduction by curator Jayme McLellan and and an essay by Monica Jahan Bose. 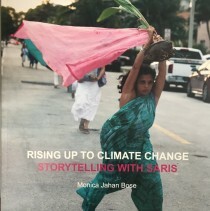 The book also includes three Bangla (Bengali) songs that have been sung during the climate art actions as well as English translations by Monica Jahan Bose. The book features over 90 images, including new photographs of the coastal women of Katakhali Village, Bangladesh wearing climate pledge saris created by Americans. The book is available for $20 from Monica’s studio or from Civilian Art Projects. To receive a copy by mail, simply send $20 plus postage ($3 within US and $10 for overseas) to Monica Jahan Bose (monicajahanbose@gmail.com) via Paypal or Venmo or check (send checks to Monica Jahan Bose, 2017 Belmont Rd, NW, Washington DC 20009) and email Monica your address and any special instructions. The books will be signed. Please let us know if you would like any special note or if you would like us to send the book as a gift to someone. Thank you for your support! The publication of this book was supported in part by the DC Commission on the Arts and Humanities, which is supported in part by the National Endowment for the Arts.